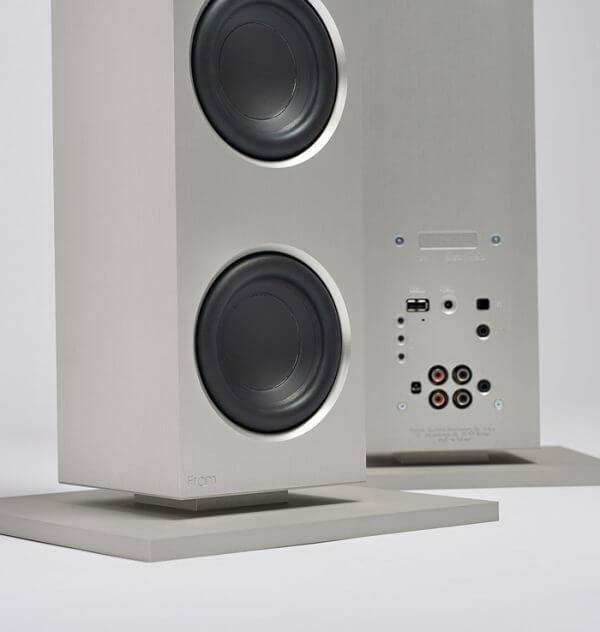 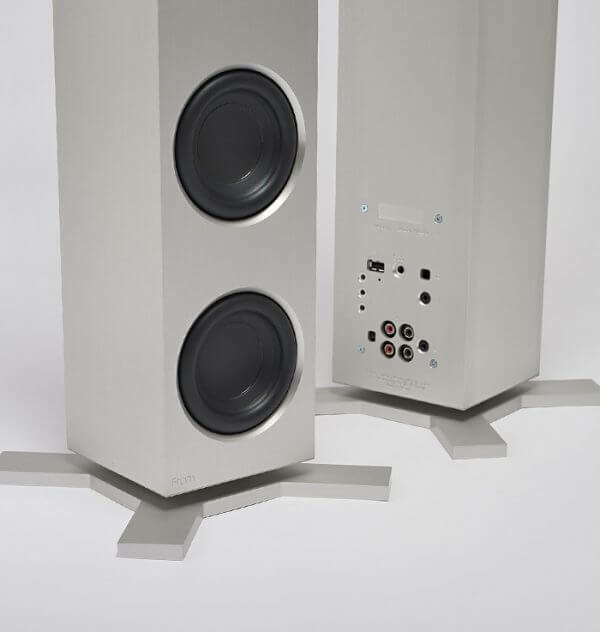 The MAXI floorstanding speakers are the flagship Fram model. 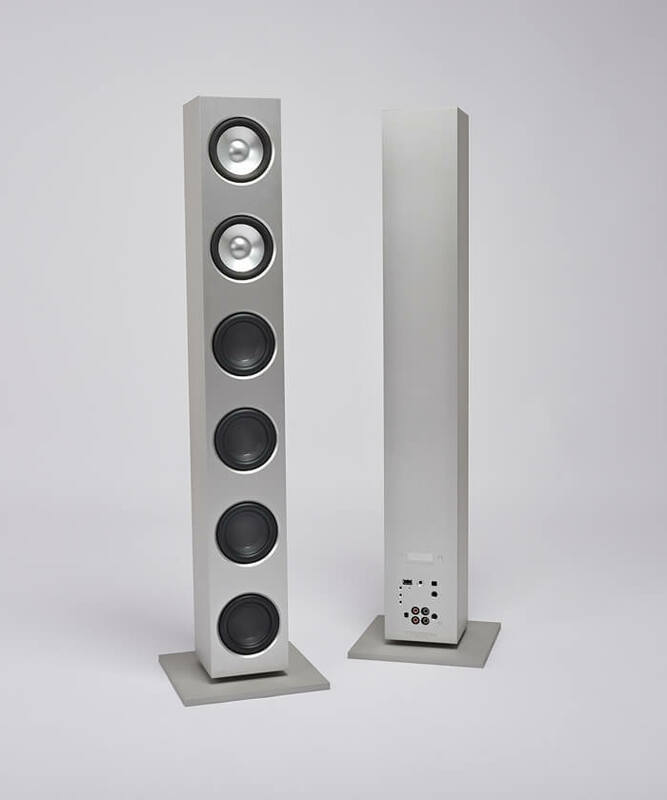 They were designed for listening to music with full power in large and medium-sized spaces(30-50m2). 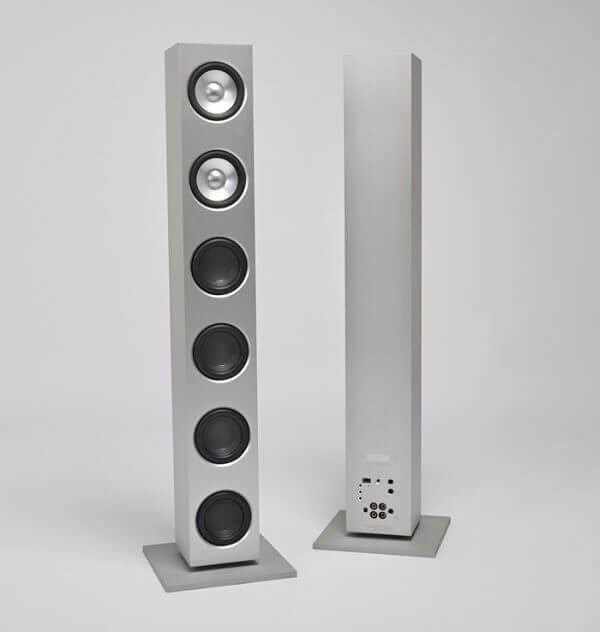 These speaker systems can be placed directly on the floor, on standard spikes with M6 screws or on square footing. 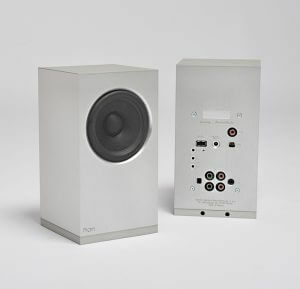 The can be connected to any source of music – from a CD player, a TV to a gramophone preamp. 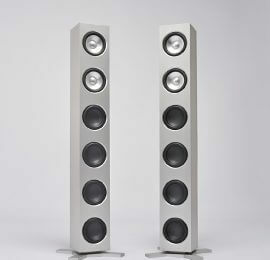 They perfectly play any music genre. 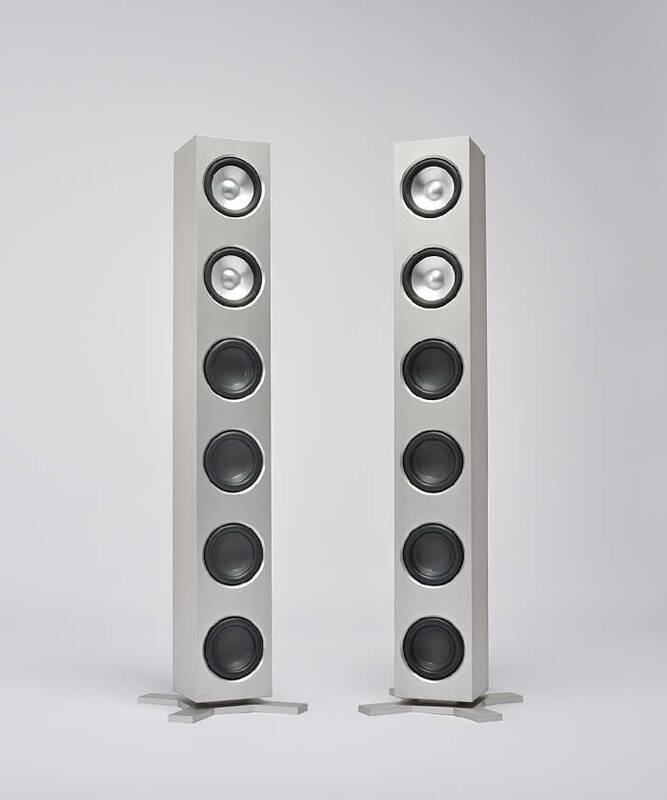 The MAXI floorstanding speakers look like a double MIDI model, however a set of double, full-range speakers create the most dense, vertically centered and less reflecting sound wave. Additionally, the MAXI speaker systems are distinguished by an excellent location of instruments, solid bass and an even wider and deeper stage (compared to the MIDI model). 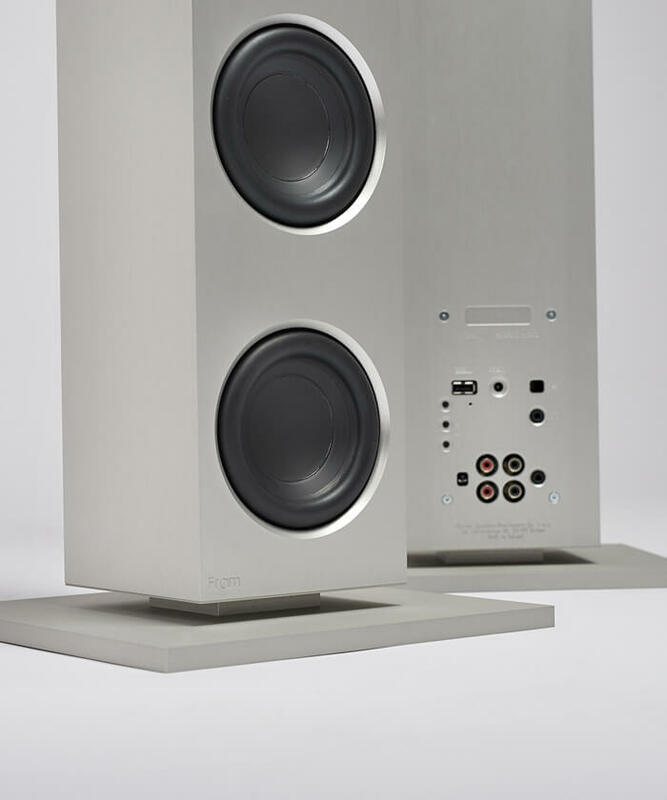 The 240 W amplifiers are well-fitted for digital programs of a speaker processor. 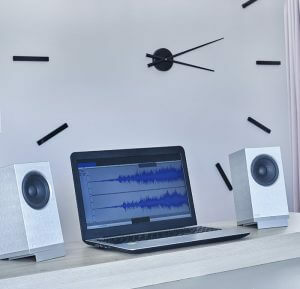 The best distance for listening to music ranges from 2 to 6 metres. 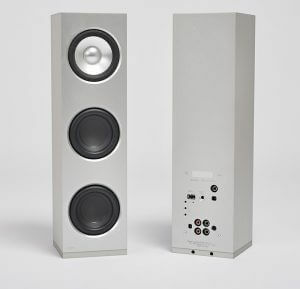 Three precisely tuned programs of the processor control any imperfections of the casing and the speaker, creating a neutral, high-resolution sound. 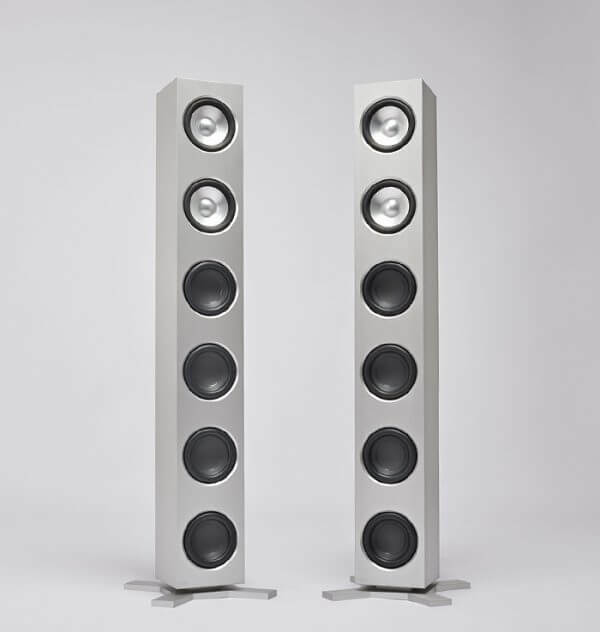 The programs are chosen according to acoustic conditions of a given space. 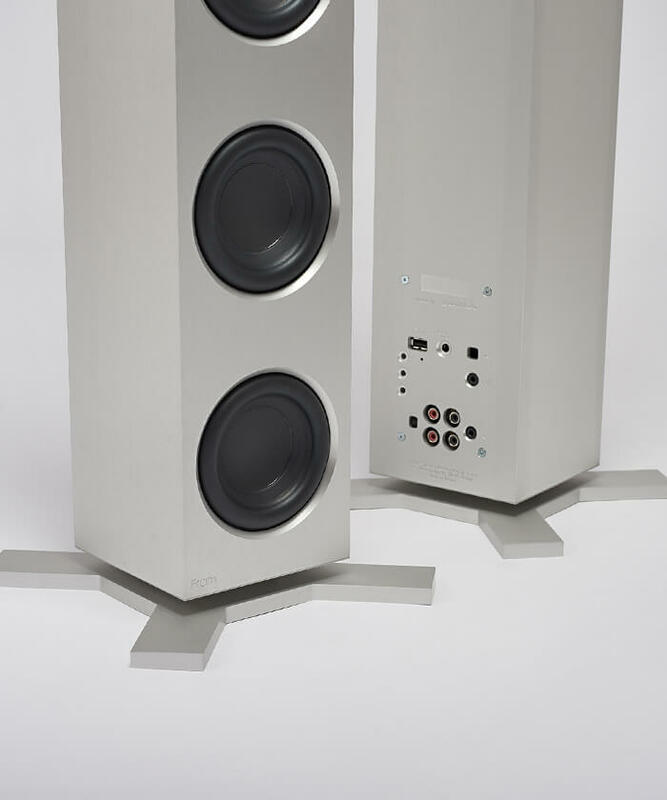 During the construction process of the aluminum casing, a precise CNC technology was used, which eliminated any vibrations, while the whole block gained an optimal rigidity and a complete suppression. 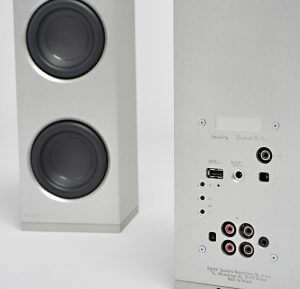 The set includes the left column and the right column, a cord connecting the two columns, a signaling mini jack cord, power supply, gaskets and a remote control. 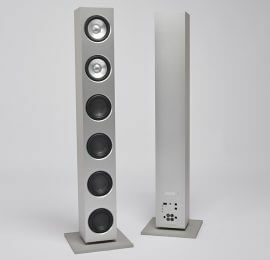 This product was featured in the “High Fidelity” magazine.